You are at: Blog » Business Models » Quick Guide: How does DealDash Work? Quick Guide: How does DealDash Work? Online auctions have developed in popularity over the previous decade. Shoppers are continually looking for approaches to save money online while finding and buying new products. The online auction industry is right now developing, and DealDash is at the forefront right now. Its creative approach gives a vastly improved affair to customers who wish to acquire fresh out of the box new products and enjoy the thrill of online auctions. In early 2009, DealDash started with auction-based e-Commerce business model from Finland. The business model was quite different from the ordinary auction and e-commerce platform, which raised How does DealDash Work? on everyone’s mind. For anyone wondering how does DealDash work, it’s pretty simple. Working of DealDash is like another penny auction business, earns most of the revenue by selling the bids. The bids are generally sold in packs of 1000s and different sizes, the more one bidder bids the more money will be banked by the company. On top of the value of the bids, the unalterable final price will be received by the company at which the product is sold. This flowchart will shed some light on the question: How does DealDash Work? The DealDash business model is quite simple, where the admin will be the one who will be listing different products on the platform for auction. To participate in the auction and to place a bid on the product, a user will need to purchase bids from a platform (E.g. 100 bids = $50). Auction starts from $0 and on each bid product auction amount will be increased by 1 penny. At the end of the auction, the winner user pays the final amount. Here admin gets the final auction amount + bids value ($0.5 * the total number of bids). As per the working of DealDash admin will also set the selling price of the product. The user can directly get the product by paying selling price to the admin, or if a user has participated into the auction, the user will get all the bids back in his profile, which he/she has spent on that particular product. At the end of the auction, there will be a win-win situation for admin and user both. As admin will get the total amount from distributed bids, and the user gets the product at a lower price. How does DealDash Make Money? The revenue model has two parts, it’ll help you understand how does DealDash make money. 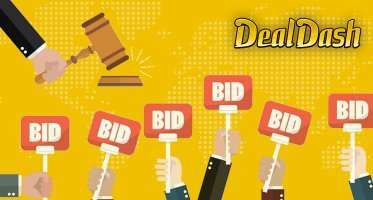 As per the structure of the platform, Dealdash works in a way to generate major revenue from the bids purchased by users from the platform to participate in the auction in different stacks. Along with encouraging repetitive bid purchasing. With the attraction of getting up to the amount very nearly in the quest ending the bids present with them and going on for purchasing another stack of bids. Another way being the end user will pay for the final auction amount whatever it sets on in a way getting the product paid for apart from bids as in many cases the products are also sponsored by companies to promote the product. 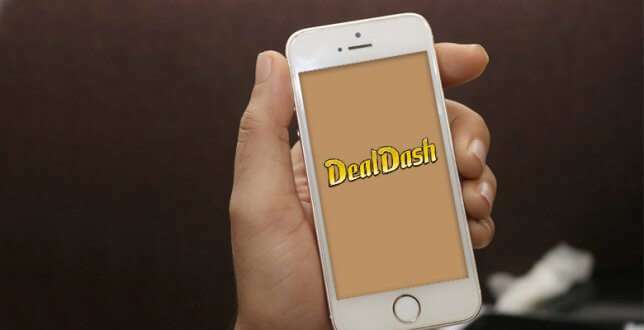 DealDash enables common people to get their dream products at a cheaper price, which they might not afford or which is very costly in the market by just placing the bids. Dealdash works in a structure but it comes with its Pros and Cons. • Win-Win situation for both the parties. • Admin will get some % of the amount before even product auction starts. You may also like The Concept of On Demand: How does On Demand Work? • Strong marketing needed to bring more user. • Risk factor depending on the market scenarios. The DealDash business model clarifies how does DealDash work, the key accomplices, key exercises, key assets, incentives, client relations, channels and client portions of DealDash. Take a look at the cost structure, and the income of DealDash covered in DealDash business model canvas. There have been a lot of talks in the news about DealDash being a scam and not a legit company. So, this whole scenario begs one question, is DealDash a scam or legit? Let’s lay out some facts. We’ll take the example of eBay. On eBay, if a bidder doesn’t win, he/she don’t have to pay for any product. Just the bidder that ‘wins’ the auction pays. On DealDash – each – bidder pays the bidding charge – each – time they bid. The cost? 60¢ for each bid. Each bid raises the cost of the product by 1¢. Along these lines, suppose you start bidding on a product when it costs a dollar. You raise the product’s auction cost by 1¢ (that is the maximum you can raise it with one bid). You are charged 60¢ for the bid you’ve placed. Be that as it may, you are instantly outbid. Presently the product is $1.02 (your bid and the other bidder have raised the cost by 2¢ with those bids). You need the product, that is the reason you bid in any case. So you bid once more, and are quickly outbid once more. Presently you’ve burned through $1.20 – whether you wind up winning the product or not. On the off chance that you wind up bidding 10 times, you’ve burned through $6, and raised the cost by 10¢. On the off chance that you bid 50 times, you’ve burned through $30 – whether you win the product or not – and raised the cost of the product by 50¢. In the event that you think about that 20, 30, or more (maybe some more) individuals could be bidding on a product – the vast majority of those individuals will lose the closeout. Just a single will ‘win’ and get the opportunity to pay the sale cost. Every other person will have spent their cash on bidding charges and won’t get any product at end of the sale. With DealDash and similar sites, that constraining element is no more. The genuine worth of a product is removed from the figuring. The genuine worth of a product gets overlooked. The bidding charges are the cost – and the more a customer has put their cash to get the product, the more hesitant they will be to quit bidding. Nobody needs to leave cash on the table, however, there’s no telling exactly when the closeout will end. It resembles a turn of the wheel – which is the reason many say DealDash and comparative sites are betting destinations. So is DealDash genuine or a trickster? Well, there are no reports to prove that Dealdash uses bidding computers or anything like that. So, we would have to say – No! 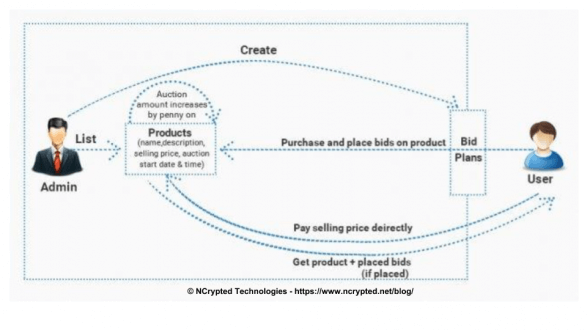 Here are some informative eCommerce business model articles crafted by NCrypted Websites, it’d help further to understand various business models from the eCommerce segment. 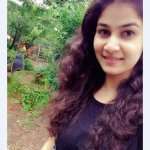 DealDash Scam: Reality Or Myth? DealDash claims to be fair but may be a trickster, they are! Guide me, I want to start a website like DealDash using your clone in Arabic. Email me, please.